Checking Your Home Security This Winter | Basco Security, INC.
As the temperatures drop, you’ll need to start heating your home to keep it at a comfortable temperature. Make sure your furnace is fully functional by having a professional check for carbon monoxide leaks. If you did not already at the end of Daylight Savings, now is the perfect time to change the batteries in your carbon monoxide and smoke detectors. You should also be running periodic tests to make sure each detector is working. If you believe something is malfunctioning, contact a professional for service immediately. If you have trees with low branches hanging close to your home, you should trim them before the snow begins. Snow is heavier than it appears, and excess weight can cause the branches to snap and damage your home. Lower branches close to windows also provide potential intruders with a way to access your windows and prowl through the yard. Shrubs close to your entryway can also give burglars a place to hide and observe your safety habits. A security system can help you maintain peace of mind and make it easier to catch an intruder after a break-in. Between motion-sensor lights and multiple camera angles to capture each entrance of your yard and home, you’ll be able to keep an eye on what’s going on around you while you’re at home or on vacation via your computer or smartphone. If something is amiss, you’ll be able to contact local authorities quickly and provide screen captures and footage of the burglary as it happens, making it easier to catch the intruder and recover stolen belongings. 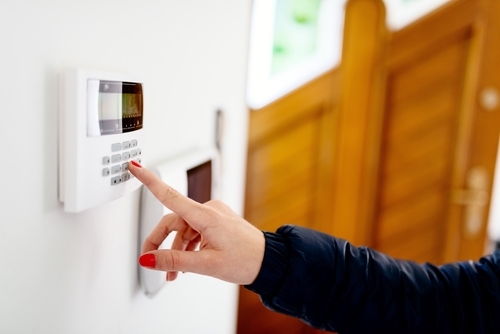 If you are looking to have your home security upgraded and have a new system installed, contact Basco Security today! We can assess your security needs and provide you with a free estimate of installation and monitoring services. Basco Security can be reached by calling 781-294-4166 or filling out our online contact form.